Did Paul Say Women are to be Subordinate to Men? …women should be silent in the churches. For they are not permitted to speak, but should be subordinate, as the law also says. If there is anything they desire to know, let them ask their husbands at home. For it is shameful for a woman to speak in church. Did Paul write all the letters attributed to Paul? The authentic Paul was of course, only one human being. But when we speak of the other categories of author writing in Paul’s name, we do not know for certain if these were individuals or groups of people representing a given school of thought. I suspect reasonable cases made be made for both types of authorship. 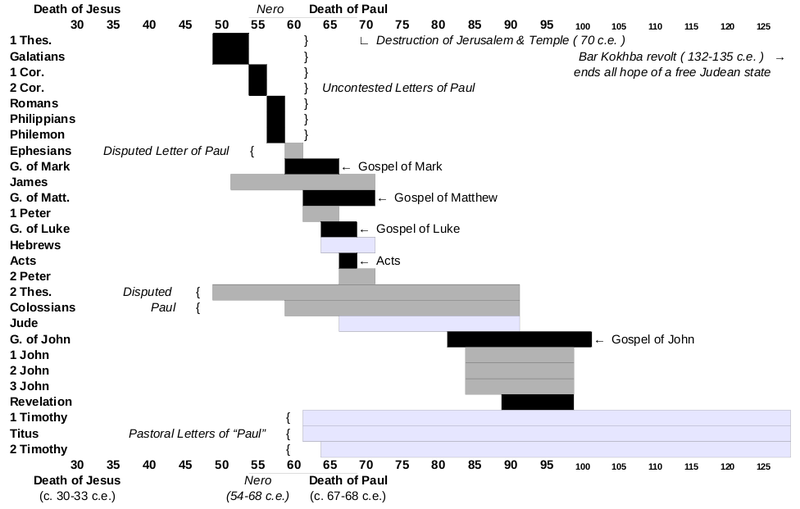 I should note that some scholars who argue that Paul wrote all the letters attributed to him, qualify that assertion by stating the authentic Paul wrote by committee, and that accounts for the variation in vocabulary and grammar when comparing these categories of Pauline authorship. But within the scope of this essay whether or not any of these letters was written by committee is not an important question. SIDEBAR: The above letters are presented in chronological order. It has been suggested that studying their content carefully allows one to track Paul’s developing theology over time. One should bear in mind however, that if Paul ever wrote a systematic theology, it has not survived; there are almost certainly beliefs he held for which we have no record. With the exception of his letter to the Romans, his writings are occasional letters (meaning they were written to address specific problems/occasions; typically addressing difficulties people were experiencing in churches Paul had previously established). Romans is somewhat different in several ways. Paul had never been to Rome, and this letter was written primarily as a letter of introduction, to dispel concerns over his teachings, and to raise funds for a new ministry reaching into the west (Gaul/Spain). Acts is not included in the above list, because no thinks Paul wrote Acts. The author of Acts is also the author of the Gospel of Luke, and these are part one and part two of a two-volume work, Luke/Acts. Where Paul is described or made to speak in Acts, it is the author of Luke/Acts describing the action or speaking for Paul; it is not Paul. I have included Acts in this list, as the fourth category of authorship, because many people rely upon it for biographical information relating to Paul. However, this must be done critically. The author of Acts and Paul at numerous points disagree about Paul’s history and movements; who are we to believe when the same story is told differently? One of the stronger arguments for a misogynistic Paul is found in 1st Corinthians, chapter 14. Because 1st Corinthians numbers among the undisputedly authentic letters of Paul -therefore, the argument goes- if Paul therein states that women are to be subordinate to men, Paul is in fact a misogynist (one who hates or denigrates women). On the surface, I would agree that assertion seems logical, however, as is often the case in biblical studies, many important variables are not that simple and clear cut. In much the same way that Paul did not write all the letters to which his name is attributed, the authentic Paul did not write every sentence passed down to us through history, even in those letters which we otherwise consider to be undisputedly written by Paul. I disagree that Paul wrote the misogynistic passages attributed to him. Even those found in the undisputedly authentic letters of Paul. This may be where some cry “Foul!” Am I not saying that I simply refuse to allow Paul to have said things with which I personally disagree? Is this not simply, and only, a matter of personal opinion? These are valid questions and concerns. I am going to try to illustrate there is more to this assertion than personal opinion. There is logical reasoning behind such a claim, and in this case, we can each read the text and see it for ourselves. Such a strong degree of “obviousness” is not always the case. Sometimes the reasons scholars cite for their positions requires that one is able to read the text in the original language. The passage we are looking at is not one of these more complex cases. While I will introduce a view which is based upon translation issues, that is not the argument I personally find to be the most important, nor most convincing. However, for a number of reasons, I think understanding the logic behind the construction of the translation argument may be instructive; not only as it pertains to getting at the “real” Paul, but as a broader example of the process of applying critical biblical analysis. 33 for God is a God not of disorder but of peace. (As in all the churches of the saints, 34 women should be silent in the churches. For they are not permitted to speak, but should be subordinate, as the law also says. 35 If there is anything they desire to know, let them ask their husbands at home. For it is shameful for a woman to speak in church [some ancient authorities put verses 34–35 after verse 40]. This is a well known conjecture. Some study bibles note there is scholarly debate as to whether or not verses 33b-36 were written by Paul, or were later additions created by a redactor (editor) of the text; the Harper-Collins Study Bible is one such example. The primary argument seems obvious to my eye. Simply read the above passage, but skip verses 33b-36 which appear as a parenthetical statement. Is it not abundantly clear the flow of the writing is better without including verses 33b-36? We may also ask ourselves if the key ideas expressed in verses 33b-36 follow the logic of the rest of the passage. Where else does Paul say that women are to remain silent in church, and are to be subordinate to men (or in some manuscripts to their husbands)? The answer is, Paul does not say women are to remain silent in church, nor does Paul say women are to be subordinate to men (husbands or otherwise). The ideas about women remaining silent and obedient are *only* found in the text which I am arguing has been inserted at a later date. Remaining silent is mentioned in the original text, but it is not associated with women remaining silent. There are two reasons given to remain silent, regardless of one’s gender: (1) there is to be no speaking in tongues unless an interpreter is present; and (2) in order to control the number or persons responding to revelations that have been given. Both are efforts to reduce chaos in worship, which is the primary message Paul is trying to convey in this passage. As to women being subordinate to men, this idea appears no where else in this passage. It is just thrown in, completely out of the blue. We may also observe, it bears no relation to the orderly conduct of the worship. Read this passage again, skipping verses 33b-36, and note how many times Paul speaks to participation in worship by everyone present. Compare this with the number of times Paul says women are forbidden participation. The count is overwhelming, because Paul never says that women are forbidden participation in worship, yet he exhorts participation, without regard to gender, numerous times. In the translation I quote, adelphos is rendered as “friends.” I think this is reasonable. But is “brothers” more accurate, and if so, would that imply Paul is not addressing women? I find this a very weak argument. As a modern example, consider the phrase used by Thomas Jefferson in the U.S. Declaration of Independence: “All men are created equal.” Does this include women? If you agree it does -as do I- then you cannot argue friends (adelphos) does not. In both cases the language is being used inclusive of gender. What If the Offensive Verses are Just Out of Order? Some ancient manuscripts place verses 33b-36 at the end of this passage, following verse 40. The disruption of the train of thought is less obvious in such cases. But their content still bears no relation to the topics being addressed in the rest of the passage. Later scribes are then left to interpret why the margin note was made. Is it a clarifying remark? Is it the addition of a similar thought existing in the oral tradition at the time the note was made? Is the scribe simply expressing an opinion? Is the earlier scribe adding words that he thought the original author ought to have written, but did not? Is it a correction to the text? If it is an attempted correction to the text, is the correction itself correct, or does it introduce an error? All of these reasons are possible, and all are known to have taken place in surviving manuscripts. How Has Ancient Scripture Reached Us? To put it crassly, when Jesus floated up into the sky at his ascension, the completed King James Version of the Holy Bible did not fall out of his back pocket! No, these texts were written over a period of many hundreds of years (perhaps a little over 100 years for the New Testament books) and were then copied, the copies copied, and recopied many times, over many generations. And none of the original texts survive; nor do any of the earliest copies survive. Additionally, there are issues of translation to be considered. The vast majority of the original Hebrew bible was written in Hebrew. Some 200 years before the time of Jesus the Hebrew bible was translated into Greek. All of the original New Testament was written in Greek. Centuries later, both the Hebrew bible and the New Testament were translated into Latin. Many centuries later it was translated into European languages, including the King James Version in 1611. Today we have many modern translations available from which to choose. Generally speaking, most translations of the last 50 to 100 years are going to be pretty good. These typically reflect modern scholarship, in footnotes if not in the body of the text itself. But the early hand-written manuscripts are rife with errors and omissions; most are easily detected; some are still debated. One of the more important points to take from this, is there is no single irrefutable, inerrant source for either the Hebrew bible or New Testament. All that we have inherited has been culled first from oral traditions, then written down, copied, edited, recopied, reedited, and translated, many times over, in its transmission to us today. Modern scholars have done a good job of getting us close to what is thought to be the original text; but they cannot do so perfectly, nor with complete certainty. A degree of interpretation is always required. And we too, must read the bible with a degree of interpretation. If we are to best understand what may have been the original intention and meaning of those who wrote these texts, we have to approach the text openly, mindfully, and critically. The world of the 1st century was very different from our world of the 21st century. Scholars of the ancient Greek, Roman, and Jewish cultures help us better understand the context in which biblical authors were writing. In the 1st century women were typically not educated and many were kept isolated within their homes. So while Paul was telling his communities to no longer see social and cultural divisions between persons, many such divisions did in fact exist in his world. 25 Now concerning virgins, I have no command of the Lord, but I give my opinion as one who by the Lord’s mercy is trustworthy. What is going on? Taken out of the context of Paul’s broader understanding and teaching these can be confusing passages. Are we all the same in Christ, or not? Should a slave remain a slave, or not? Should we marry, or not? One key to properly interpreting these kinds of passages in Paul is to remember he was part of the Jewish apocalyptic tradition, and carried these eschatological (ending of the world) views into his interpretation of what it meant to be a follower of Jesus. This is why Paul is not concerned with the long-term social status of people. In Paul’s view, there simply was not going to be a long-term existence with which to be concerned! If the end of the world is coming any day, it doesn’t really matter if you remain a slave, or whether you get married, or whether you have children. In light of his expectation of the impending end of the world, I find it very interesting that Paul does expand the roles of women in his communities. This would seem to indicate that even in the face of the immanent end of the temporal world, elevating women to equal status with men was important to Paul. It may simply be that because many of Paul’s communities began as house churches, and some women did have some authority within their own home, that women were important to the founding of Paul’s communities. I am not certain we are able to read into Paul’s writings clearly enough to discover why women were considered so important to Paul; but we are able to see that women are important to Paul, and to his ministry. I wish to close this essay by taking a brief look at some difficulties and challenges that face us when dealing with translated texts. Paul, I would hope it is obvious, did not write in English. Paul wrote in Greek. And Greek can be a very subtle language, offering many shades of meaning. In his book “What Paul Really Said About Women” John Temple Bristow states there are 30 Greek words which may be translated as “say,” “speak,” or “teach.” He addresses some of these in his discussion surrounding 1st Corinthians 15:34-35, on pages 60-64. In approaching this passage, Bristow asks that we consider the context. Paul is speaking to concerns regarding public worship; specifically, how to conduct orderly public worship. At this point, Bristow begins to discuss the specific Greek words from which our translations derive. Thus, should you be unfortunate enough to find yourself faced by an “unruly mob,” you may describe the chaos much as did Paul, who “described their noisy confusion and disorder as akatastasia” (Bristow, page 61). And we can well imagine this is decidedly *not* what one would wish to be taking place during worship! 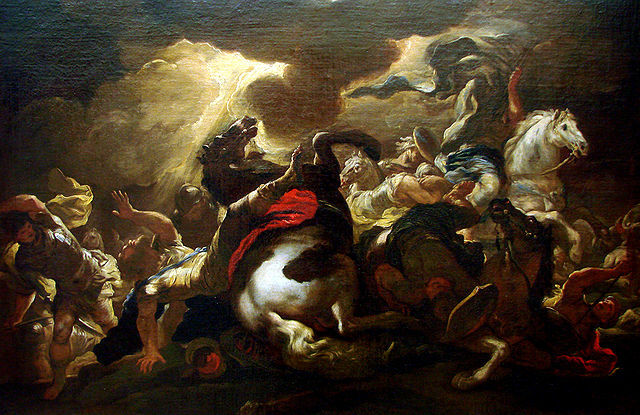 Yet, this is the impression Paul offers us of the chaos that had befallen the Corinthians. Verses 27-28: No more than three persons are to speak in tongues; and only then if interpreters are present. Verses 29-32: No more than three persons may prophecy; they must take turns and consider the message of those who have spoken before them. Verse 34: Women are to remain silent during the service. Verse 34 creates a difficulty. In chapter 11, Paul states that women are permitted to pray and prophecy during worship. Now the same Paul says women must remain silent? First, for those who cannot accept that some of Paul’s letters were forgeries, this offers a means of mitigating the foulness of Paul’s speech, while retaining Paul as the sole author of all the letters written in his name. For some, retaining Paul as sole author is vital, and Bristow’s approach at least allows one to soften the mistreatment of women. I wish to be perfectly clear: the proper course, is to eliminate the misunderstanding. It is far better to see that Paul never said this of women, and that women are to be treated as wholly equal human beings, than to begin treating women with a lesser degree of hostility. Second, Bristow’s analysis allows us to peer into the subtle nature of the Greek language. This offers us insights which we may apply to a great many difficult passages in the bible. It is important for us to remember we are reading a translation. And there are occasions when words and meanings do not translate exactly from one language to another. And those making the translation must choose between offering a literal translation of the words, or the best translation of the meaning expressed in the original text. The two are not always the same. With these cautions, I’ll offer a sample of what Bristow has to say about I Cor. 14:34-35. “Hesuchia is used to denote “quietness and stillness.” Bristow observes that this is the Greek word used in 1st Timothy, but in that context it was not discussing worship, but while one is studying. And one could make the argument that hesuchia (quietness and stillness) is a very practical attitude for all of us to adopt when studying. This is a very different shade of meaning than telling someone to sit down and shut up! We may now appreciate that the English translation misses a lot of the subtlety in the original Greek. Where it is rude and offensive to demand that someone sit down and shut up, it is perfectly understandable that one may request that persons engaging in a worship service conduct themselves orderly, and without creating chaos. Bristow makes another interesting point with regard to words which may be translated as “say,” “speak,” or “teach.” In this case the Greek word chosen by Paul is laleo which of all the 30 options in Greek, is the only one which may simply mean to “‘talk'” or engage in frivolous conversation. “‘My mother used to compare the situation in Corinth to the one she and my father faced in northern China. Back in the 1920s when they were first to bring God’s message to that forgotten area, they found women with bound feet who seldom left their homes and who, unlike the men, had never in their whole lives attended a public meeting or a class. They had never been told as little girls, ‘Now you must sit still and listen to the teacher.’ Their only concept of an assembly was a family feast where everyone talked at once. Please note, this is not to imply the above is characteristic behavior of all women. It really has nothing to do with women at all, other than it was women who were deliberately kept isolated and uneducated. I submit that anyone who was treated as were these women, would behave in much the same manner. By extension, we may imagine that similar behavior may have been engaged in by the women in Corinth, some 2,000 years ago, and perhaps for very similar reasons, given there may have been similar cultural influence; both were situated in male dominated cultures. Thus, Paul was not telling women to sit down and shut up, and he was not saying that women were prohibited from taking an active role in worship. He was saying that the worship ought to be conducted in an orderly manner. And that is all he was trying to convey in I Cor. 14:34-35. First, verses 34-35 read as if they have been inserted into the original text by a later editor. Third, for those of us who read the Pauline letters as having multiple authors, it is easy to see that those writing after Paul’s death (circa 67 ce) modified some of his views: forcing male dominance over women; harsh curtailing of women’s roles (1 Timothy 2:11-15, serves as an example). I hope this essay offers several insights into how we might read Paul, and better understand some of his more difficult -offensive!- passages. Paul is an important figure in the history of the Christian church; he wrote one third of the New Testament, and he wrote first; his writing must have influenced many of the remaining authors of the New Testament. Ron Miller not only annotated his book, “The Sacred Writings of Paul” he also translated Paul’s writings from the original Greek. The phrasing he chose in his translation is at times very interesting. His annotations offer great insight to Paul’s writings, showing that Paul was a complex and multi-layered person, caught in a changing world. I highly recommend reading Miller’s book. He brings a great depth of understanding to Paul, as he does any subject he addressed. I hope this brief examination of just one short passage, sheds a little light on how we might go about organizing our thoughts when getting ready to interpret scripture, and when trying to separate one layer of the text from another; often, within the very same passage. Radical Theology: How BIG is Your God? a transliteration of the Greek θεός (Strong’s 2316). divinely, God’s, God-fearing, godly, and Lord. While the origin of the word is unknown, according to HELPS(TM) Word-studies, it is thought to have meant “the Creator and owner of all things,” conveying the concept of “the supreme being who owns and sustains all things” (see John 1:3; Genesis 1 – 3). As we may imagine, the translation of Theos from the Greek is not always obvious. In a future essay we may address the various ways of interpreting the word Theos, but for now, I want to direct our thought in another direction. I would like you to think about our universe. Our understanding of science is not that of the 1st century. The universe of the 1st century was a three-tiered universe, comprised of earth, the heavens above, and the underworld below. Our understanding of the nature of the universe is far more complex. Our universe is also much larger. Mind-numbingly vast, in fact. The distance from New York City, NY to Los Angeles, CA is 2,775 miles. For those interested in biblical comparisons, the distance between Jerusalem and Babylon is about 500 miles as the crow flies, and perhaps twice as far travelling by caravan; the distance between Jerusalem and Cairo, Egypt is about 265 miles by air, and 330 miles by land. 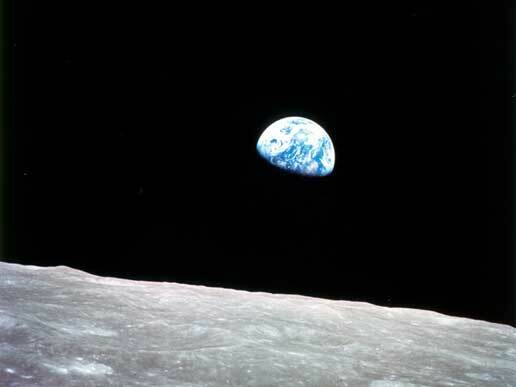 The moon is nearly 240,000 miles from the earth (roughly the same distance as travelling back and forth between NYC and LA 86 times; or walking around the entire planet ten times). The sun is nearly 93,000,000 miles from the earth (more than 33,000 trips between NYC and LA; or walking around the equator 3,735 times). And these are small distances, in terms of the universe. Light travels at 186,000 miles per *second* and takes 8.3-minutes to travel from our sun to the earth; light requires 100,000 *years* to cross from one side of our galaxy to the other. The universe is unimaginably vast! The scale, scope, and dimensions of this are really beyond our ability to hold in our mind. This is the thought I would ask you to sit with for a time. Now I ask: How BIG is your God? For me, this is one of our most important Big Questions to ponder. I also believe this is one aspect of Radical Theological which a great many people fail to fully appreciate. Another way of thinking about this question is to ask what are the limits of your God? Is your God limited to this earth? To this solar system? To this galaxy? What about to this universe? My personal concept of “God” is panentheistic. A pantheist believes their God is everywhere in the universe. This sometimes gets a bad name when people diminish the idea as simple animism (each tree, river, and rock having it’s own spirit); but pantheism is not the same thing as animism, although pantheism may include animism. So too, panentheism to pantheism. Panentheism holds the position that God is not only present everywhere within our universe, but simultaneously beyond our universe (basically, that is what the “en” in panentheism means). Now I would ask you to sit with that thought for a time. This thought drives me toward the concept of transcendence. 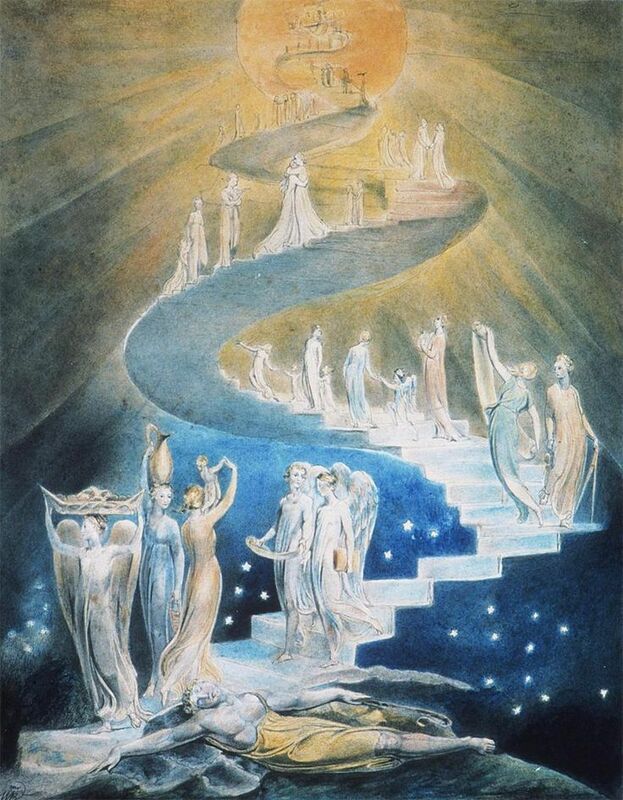 When I speak of transcendence, I mean this as expressed in Kantian philosophy: that which is “beyond the limits of all possible experience and knowledge; beyond comprehension” (Merriam-Webster). Given our access to sensory input is limited to that which resides within this universe, if there is anything beyond this universe, it must by definition transcend our sensory perception. Therefore, if we posit a Theos of sufficient significance, there must be aspects of that Theos, which are transcendent to the human condition, and beyond the reach of our perception. I would go further. I would argue there are aspects of Theos which are beyond our intellectual capacity, and even beyond the reach of our imagination. I strongly feel if more persons clearly grasped this meaning of Theos, and felt it in their guts to convey a valid truth, we would easily avoid a great many arguments over specific interpretations of religion and spirituality. That is why this concept is so important to me. To have a God this BIG means we admit we cannot know all there is to be known about God/Theos. This in turn suggests to me the important roles humility, and willingness to be open to how other persons understand Theos, play in our lives, in our spirituality, in our interactions with others, and in our religious observation and traditions. If our Theos is BIG enough, none of us has full access to Theos. We all are limited to partial perceptions of Theos. We all are limited to partial understandings of Theos. Therefore, it seems logical that we must be tolerant of what others perceive of Theos. But I suggest we should go further. We should strive to learn from others, and inform our own understanding of Theos through what alternate apprehensions of Theos may reveal to us. It seems so simple to me. Simple, yet profound. Which is why I call this Radical Theology. 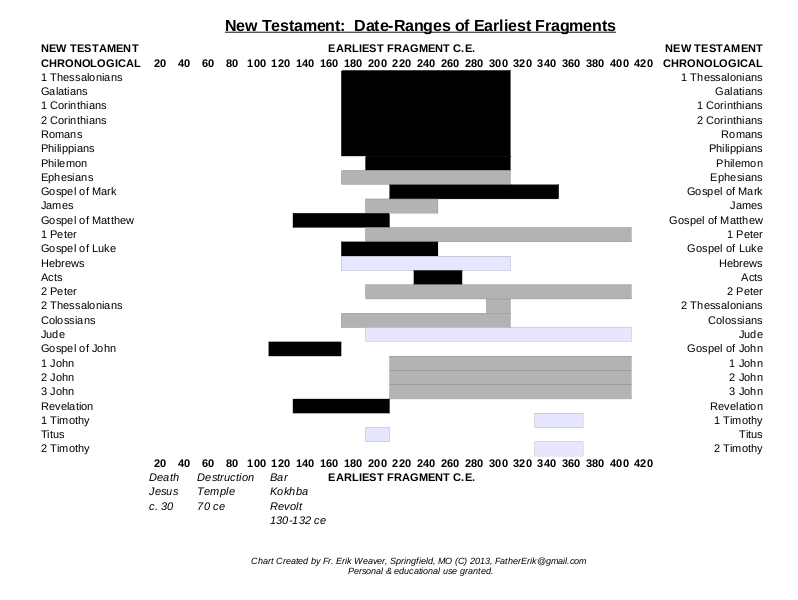 This is a follow-up to an earlier blog, “Chronological View of the New Testament.” Once I begin thinking about the New Testament chronologically, one of the next questions which comes to my mind, is what are the dates of the surviving New Testament manuscripts? 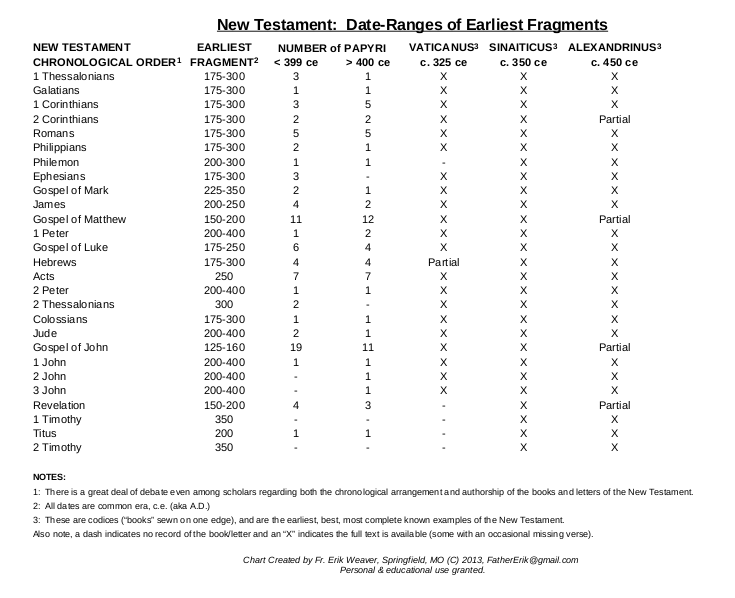 When were the books and letters of the New Testament originally written? What are the dates of the surviving documents? As it turns out, these are in fact two very different questions. The first question I dealt with in the earlier blog, along with the question of *who* wrote these books and letters (in most cases we simply do not know). I also presented a chart of this information, which I suggest may be useful in one’s study. This blog will open the examination of the second question, that of dating what early Christian texts survive. To begin with, there are no known surviving *original* texts (or even fragments) of the books and letters of the New Testament. Those long ago wore out, were destroyed, lost, or turned to dust. In fact, even the first several generations of copies are thought by most scholars to be lost to us. These were “working” documents, by which I mean they were used as communication devices. As such they would have been read out loud to gatherings of people on an on-going basis. They were *not* holy books and letters carefully hidden away and cared for; they were hand-written documents used to conduct the “normal business” of worship, liturgy, and instruction. This means the first copies, and copies of those copies, and likely copies of those copies, simply wore out from use. As a copy became too worn to be used, it was copied again. When another group wished to have a copy of one of your letters, or you of theirs, a copy was written out by hand. I think it is useful for us to understand this point. These books and letters only became “holy scripture” at a later date. At first, they were just normal tools of communication. How do we date the early Christian texts which do survive? In discussing this information, a few points should be made. The obvious point is this subject is still debated by recognized scholars who are expects in this field. We must expect differences in opinion. Scholars seem to be in wide agreement that a small credit card sized fragment, called P52 (P for papyrus; 52 for the 52nd officially catalogued papyri), is the earliest surviving fragment of the New Testament and dates to 100-150 ce. The earliest complete copies of individual books and letters of the New Testament date to about 200 ce. And the earliest complete New Testament bible, the Codex Sinaiticus (a codex is a “book” as we understand it, leaves of paper sewn together on one edge) dates to circa 350 ce. Thus, our earliest surviving fragment of the New Testament dates to about 100-years after the death of Jesus, and our earliest surviving complete edition of the New Testament dates to about 300-years after the death of Jesus. It is also worth recalling the canon was not yet agreed upon even in 350 ce. In 367 ce Athanasius, Bishop of Alexandria, authoritatively published the first known list of the same 27 books found in our modern canon. 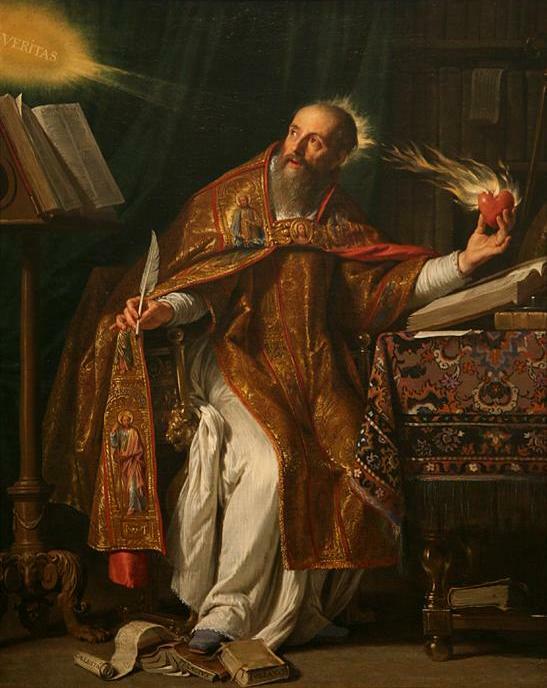 However, we should recognize he published his list specifically so that churches under his control would cease using other books and letters in their liturgy. It stands to reason he felt he had to do so exactly because other books and letters were being so used. Authorities differ in their opinions, as they always do, but it may have taken another 50 or 100 years for a wider consensus to be reached. Even so, debate among the church leadership regarding the proper canon continued into the 1500’s, and even into the 1600’s. Dr. Wallace offers an interesting slide during his solo presentation. He shows us how many manuscripts were available to those who compiled the King James Version of the bible (1611 ce), and how many are now available (as of 2012, the year of his presentation). The change is very large! Also note the year of the earliest available manuscript. This too is interesting. As one can see, we are approaching 6,000 Greek manuscripts of the New Testament. (Dr. Wallace’s count is about 5,900 and slowly increasing as new discoveries are catalogued.) And some of the earliest are dating to within 100-200 years of the death of Jesus. While there are differences between each one of them, even those most closely related to one another, the vast majority of these differences make no difference at all. Some are spelling errors, some use an unnecessary word (such as “the Mary and the Joseph”); other differences are so small as to only be apparent in the original Greek, and are not even translatable into English. Dr. Wallace offers the opinion that less than 1% of the differences are significant, and may also alter the reading of the verse in which they take place. On the other hand, he is of the opinion none of these alterations are significant enough to be considered primary challenges to core theological concepts. Interestingly, Prof. Ehrman agreed. I find this interesting because elsewhere I have understood Ehrman to hold the opinion some of these alterations could be considered significant to one’s theology. However, I will have to do more research investigating this question before writing about it. Ehrman and Wallace did not answer these questions in their debate. I will point out for whomever may be interested, that one may wish to examine the Nicene Creed. By carefully examining this Creed one is able to determine that various church leaders were in heated debate with one another over the proper interpretation of scripture and church tradition. Read from a certain point of view, the Creed is an exclusionary vehicle. The words were chosen with great care both to affirm a certain understanding of Christianity, but arguably even more importantly, to specifically exclude other understandings of Christianity. We believe that God, is Love, the Power, the Truth, and the Light. That all, shall one day become, One with the Divine. We hold, the Grace of God, is the Unity of humanity. We know, we do serve the Lord best, as we best serve, our brothers and sisters. So shall Christ’s blessing rest upon us, and peace for evermore. Amen. Ehrman cites Luke chapter 22 as an example of differences which make a difference. He refers to the story of Jesus sweating blood prior to his being betrayed and turned over to the Romans for execution on the cross. Ehrman makes the point this sweating blood is *not* found in the earliest and best manuscripts of Luke. So we know there has been a change made by the scribes who copied this text. The question is in which direction: was the sweating blood added or removed? when? why? The argument which Ehrman offers (and to which I agree) is that the Gospel of Luke was seen as being too passionless. It is sometimes called the “passionless Passion of Christ.” It is also sometimes pointed to in order to argue that Jesus was so fully Divine as not to be human (and thus had no fear of his “Passion”). This idea did not sit well with later scribes, so they changed the text so that it included Jesus’ sweating blood, demonstrating both a human condition and a man very much concerned with his coming Passion. This is a difference that makes a difference, to be sure. But how theologically significant is it, really? I’d suggest this depends if one reads Luke to be portraying a non-human Jesus or not. If one reads Luke’s Jesus as already being human and Divine, it is not a theologically significant difference. However, if this scene is the pivotal scene which changes one’s understanding of Jesus to include being very much human, and of suffering his Passion, it makes a very, very significant theological difference. How might these insights change how one reads the New Testament? It is not my place to try to tell you how to interpret this scene, or any other, in the New Testament. But I would ask you to consider the ramifications of scribes altering the text of the New Testament, and doing so intentionally. Erroneous mistakes are a given, easily forgiven and usually quite easy to detect: no harm, no foul. But making intentional changes are of an entirely different category. What I take from this line of enquiry is that the New Testament is a very human work, and demonstrates a series of attempts to understand the life of Jesus, and what he reveals to us of the Divine. Something profound took place 2,000-years ago, and it took persons decades, hundreds of years, to work through what happened. And 2,000-years later you and I are still working through what that life of Jesus means to us. No doubt, the initial stories of Jesus were carried forth in an oral tradition. As time passed, these stories began to be written down. But first, a mystic experienced a life-changing conversion, in which he was confronted by the risen Christ. He began travelling city to city, forming small house churches where he could. When these churches experienced internal difficulties, he preferred to re-visit them personally to clarify their understanding of what it meant to be in Christ. When he was unable to re-visit them personally, he sent his representative to sort out these difficulties. And when this was not possible, he wrote letters addressing the specific concerns of churches he formed. That person was Paul, and a number of his letters survive. As these various texts were held in increasing regard, they were copied and spread from one group of Christians to another. And the only way to copy a text in the ancient world was for someone to sit down and copy the book or letter one single character at a time, word by word, line by line; hopefully making as few errors as possible. And as these cherished texts were worn out they were copied; and copied again; and again. Making errors in this environment is unavoidable. Anyone who doubts this can test it for themselves. Open you bible to the Gospel of Mark and copy it out in its entirely onto sheets of paper. If you can find a willing partner, have them produce their own copy from your copy. If you want a more accurate test, you need to find five or ten willing partners, and each copy a letter or book of the bible and re-copy them amongst yourselves. Then compare these copies one to the other, and then to the bibles from which each of you started. I fully expect you will find errors. And the odds are you are better educated than most scribes were 2,000-years ago. I for one, do not see an obvious answer. Errors did take place. We have the ancient manuscripts which document this took place. Some scholars claim the differences are really more or less insignificant. Other scholars think there are at least some significant differences. By and large, I suspect we do have something pretty close to the “original” texts (although, we can never be certain this is true). On the other hand, I also know no two ancient texts were identical, and I know in some cases intentional changes were made. Therefore, I know I am dealing with altered documents. So I know I am not dealing with a pristine text, and I know I am dealing with a human text. I am not reading the Hand of God. I am reading copied and translated thoughts another human being had of their impression of the Divine; or farther removed from the source, of an impression of another person’s experience of the Divine. This is far from simple to sort out. It requires subtlety. It certainly requires subtlety if one is inclined to mine into the space between the written words. But I also believe there is an underlying Truth which is still conveyed to us through the text, despite all the difficulties. There are levels of understanding and personal revelation at work. There is the initial revelation which one might be struck by as a new Christian. I view these as more basic and broadly stated concerns which impact our lives. But by “basic” I do not lacking vitality, these often strike a person with profound life-changing strength. By “basic” I mean one may be able to organize one thoughts around them sufficiently to write them down on a piece of paper. Other apprehensions are more subtle, more abstract, and frankly, more confusing insights that one must puzzle through to one’s own spiritual satisfaction. Some of these are even paradoxical, and we cannot presume to ever discover an answer. But perhaps we are not supposed to feel *that* certain in our understanding of what it means to be a follower of Christ? perhaps we are supposed to leave an opening for Divine Mystery in our lives, and in our interactions with others? Do not simply believe everything you are told. Read the New Testament prayerfully, mindfully, with discernment. Read the New Testament with both an open mind and open spirit. Embrace holding your mind open, and strive to see from alternate points of view. 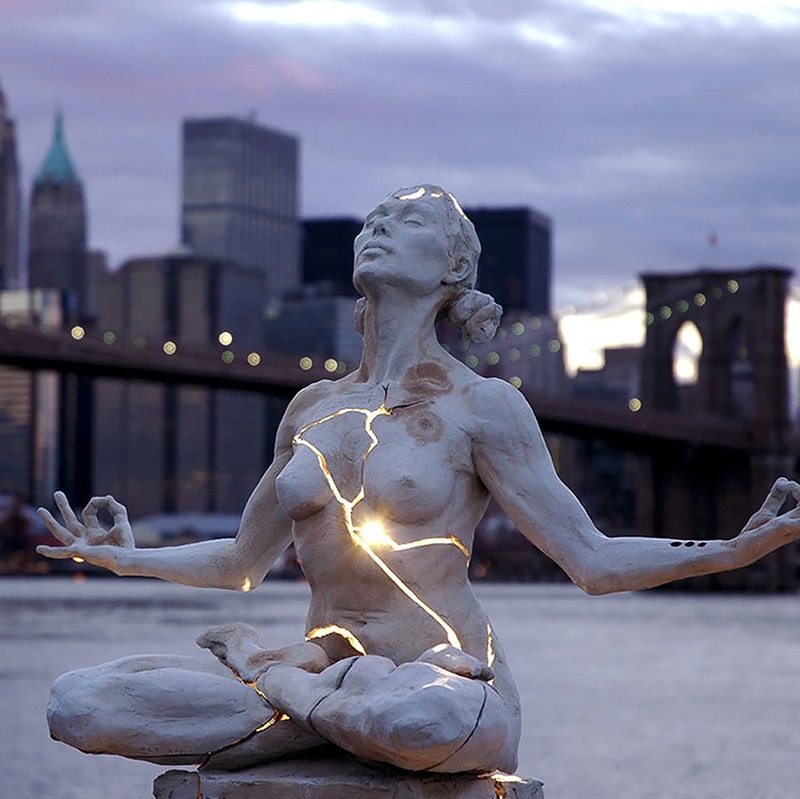 Open your spirit to intuition. Truth speaks to those with ears to hear. Offered with blessings, on Christmas Eve 2013, when our thoughts turn to the meaning of Jesus, the Christ, and how our lives are impacted by his life, some 2,000-years later. The following are a collection of additional links of interest for those who enjoy getting lost in library stacks! Which Version of the Holy Bible is Best? Anyone who knows me, knows this is a rhetorical question; if you have been reading much of my blog, you may well have come to the same conclusion. There is of course a point to the question. At least three points, in fact! “Bible” derives from the Greek, βιβλίο, or biblio, and it just means “book.” Any book. Of course, in the United States most think of the Christian bible if you just say “the bible.” But we still might wish to know if we are speaking of a Protestant bible or a Catholic bible, as there are some differences between the two. And some Eastern Orthodox bibles include a few books not found in Western bibles. Beyond these considerations, we might also ask about the differences between the Hebrew bible and the Christian Old Testament. As we quickly see, even this simple question can become somewhat complex. The first point I think important to appreciate is that the Christian bible is comprised of two parts. The first part is the Hebrew bible; the second part is the New Testament. Both of these are anthologies, a collection of ancient books and letters written by a variety of persons. The Hebrew bible was written across many hundreds of years, while the New Testament was written in roughly a 100-year span, beginning about 30-years or so after Jesus was executed by the Romans. It is always dangerous to make simplified statements in this area of study, but *essentially* the Christian Old Testament is the same as the Hebrew bible, although arranged differently. The Hebrew bible was revised in the first century of the Common Era, removing those books for which Jewish tradition says there could be found no copies written in Hebrew. The assumption was if they could not find any copies written in Hebrew, these books did not belong in the Hebrew bible. Christians too have historically held some differences in opinion as to which books should be included in their Old Testament (and still do). Martin Luther felt a number of books should be removed, and most Protestant bibles observe this form to this day. From this stems the differences between the Protestant and Catholic bibles. This is only a very rough sketch of the long and complex (and on certain points, still debated) process of determining the canon of Hebrew and Christian bibles. A great deal more research may be done on the subject, and for those who find this of interest, it is quite an intriguing area of study. The next question is: Which version? If you take a look at the page for Genesis chapter one, you’ll get an idea how an interlinear bible is arranged. Note that Hebrew reads from the right to the left, so when reading Genesis 1:1, for example, you must start reading at the right edge of the screen, and work your way to the left. Below the Hebrew, the English translation is displayed. Sometimes Hebrew words have no corresponding word in English, and sometimes several. Which leaves us to answer which is the “best” version of the bible? This is impossible to answer, because it depends upon one’s needs and preferences. For myself, there are some passages which simply only “sound right” to my ear when spoken in the King James version. On the other hand, I know there are hundreds of words used in that version of the bible which no longer mean what they did when it was written, some of which are now extremely misleading. Furthermore, I know it was originally sourced from what are now known to have been inferior copies of the manuscripts (this was unintentional; at the time they made use of the best, or only, copies to which they had access). So for these reasons, I do not use the King James version when I am critically reading the bible. But when I want beautiful, poetic prose, I do tend to prefer the King James version. Of the modern translations, my favorite is the New Revised Standard Version (NRSV). I also enjoy the New American Bible (NAB) translation. But realistically, all modern translations are on par with one another, and for the most part make good use of modern biblical scholarship. Personally, I like to have several translations at hand. If one is really wishing to get into the thick of working out a translation, one should explore the source language. In most cases, that is going to be Hebrew for the Hebrew bible, and Greek for the New Testament. One of the areas I especially enjoy this line of enquiry is when names of God appear in the Christian Old Testament. This is one case where we who do not speak Hebrew lose a lot in translation. And I suspect those of us who are not Jewish usually fail to appreciate the depth of tradition in how the various names of G-d are used. And I hope you also see why it is not possible for there to be any “one” or “best” translation of the bible.